Flair have a wide range of construction toys which offer young WWE fans an electrifying way to connect with WWE’s action-packed events and captivating Superstars. 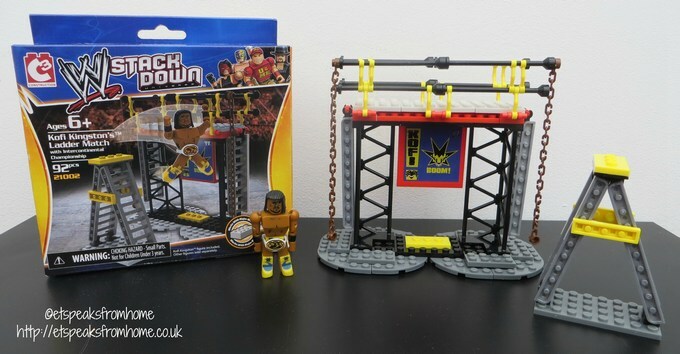 We have received the WWE StackDown Kofi Kington’s Ladder Match set for Mr K to build and recreate the excitement of WWE! 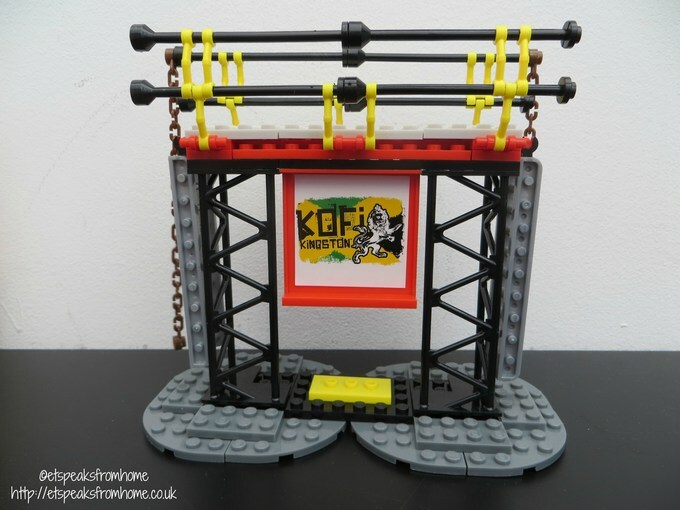 This is a 92 piece set which includes a 5.7cm Kofi Kingston figure which has 12 points of articulation, one loose intercontinental title belt, a large ladder match with a Kofi Kingston banner piece, two basic ladders and two chains! It is suitable for aged 6 plus and are compatible with other StackDown playsets. When we opened up the box, the figure itself is already built. It comes with a clear instruction leaflet and my son built it quite quickly with minimal help from me. The only thing that he was unable to build was the chain. The interlocking pieces of the chain comes in a thin plastic which you have to break off individually. Once off, I had to clip them together one by one. I found it quite hard as they are so small and fiddly. However, it is quite well made such that when fixed it didn’t break apart. But I told the children to not pull the chain in case it snaps. Occasionally, I found that the bricks don’t sit nice and tight together and that I had to press it really hard to get them to seal properly. 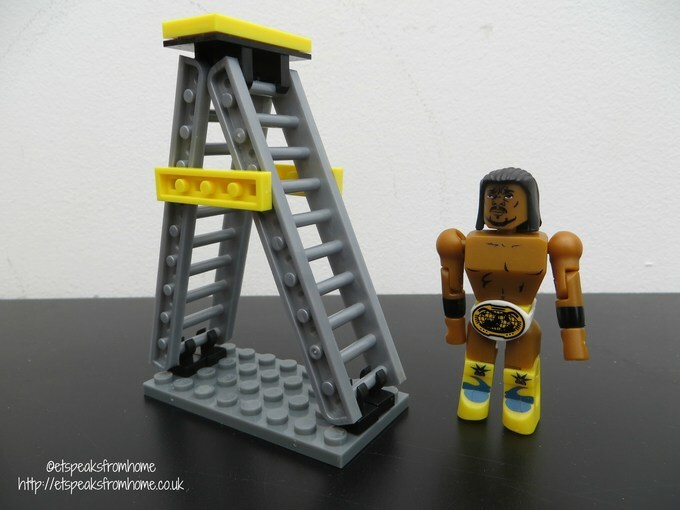 Once built, it is a very realistic ladder match stage and Mr K had fun pretending with Kofi, lifting the ladders and trashing it on his oppositions. This set is great for children for construction, fine motor skills and creative imagination. Now get ready, get set and fight! This set RRP £9.99 is good value for money and WWE fans will be very excited with this!